Get free X3 CMS installation and a smooth running site by choosing the right foundation, and say goodbye to file upload problems, permissions issues and other X3 CMS hosting compatibility headaches! It just requires several click on your mouse and moreover, it is provided FREE of charge! What is European X3 CMS Hosting? 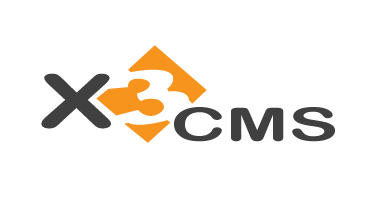 X3 is a simple CMS system that is capable of creating impressive, secure websites almost as well as our top-rated content management systems. However, unlike most the other programs on our CMS review, X3 requires you to pay for nearly every add-on. This means, while the main CMS software is free to download and use, you need to purchase any advanced features, including the business tools. This CMS software includes a search engine, site map and wiki that you can include on your site. Other add-ons, such as a blog, photo gallery and user contribution functions are available. However, no add-ons are included with the free program so you must purchase them separately. Email help forms, discussion forums and personalized user dashboards are not available at all with this program. Why Choose HostForLIFE.eu for European X3 CMS Hosting?